Writing advice from George Saunders…. This is my weekly installment of “writing about writing,” in which I scan the world to find websites, books and articles to help other writers. Today I discuss an interview with George Saunders…. 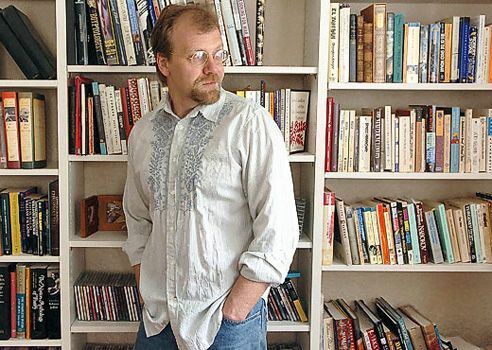 George Saunders (pictured above), is the bestselling author of short stories, essays, novellas, children’s books, and novels. His book Tenth of December: Stories won the 2013 Story Prize and the inaugural (2014) Folio Prize. His novel Lincoln in the Bardo won the 2017 Man Booker. “…[it] is always a function of the writer having set a too-high bar for herself. You know: you type a line, it fails to meet the “masterpiece standard,” you delete it in shame, type another line, delete it—soon the hours have flown by and you are a failure sitting in front of a blank screen. The hard part of writing should not be the writing. It should be the editing. My thanks to reader Mike Hitt for fowarding the Literary Hub link to me.